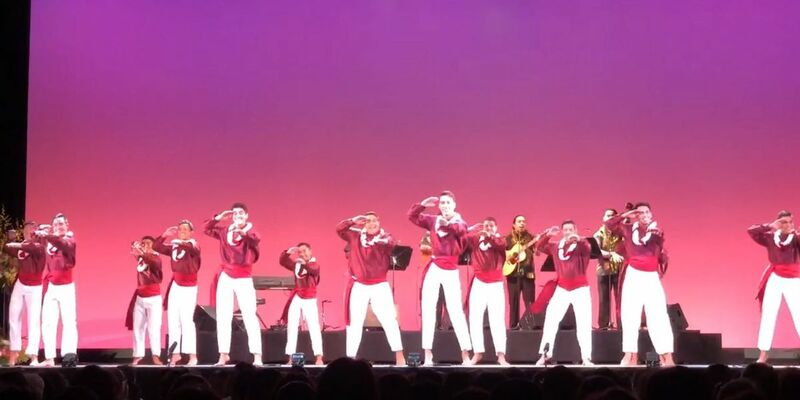 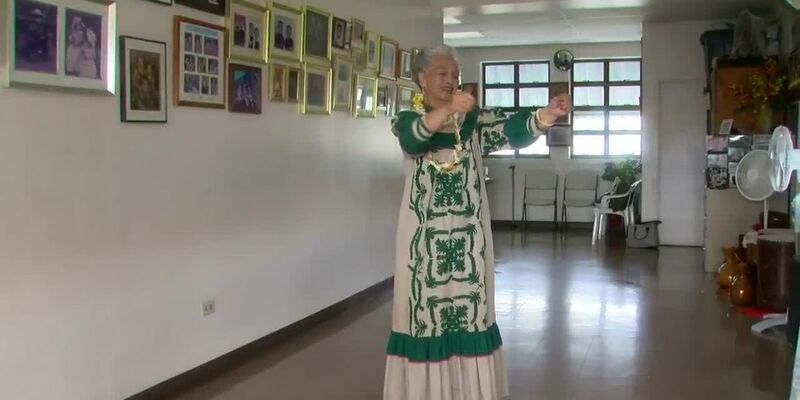 The Na Hiwahiwa O Hawaii festival is a chance for some of Hawaii's top hula halau and entertainers to spread the spirit of aloha overseas in the land of the rising sun. 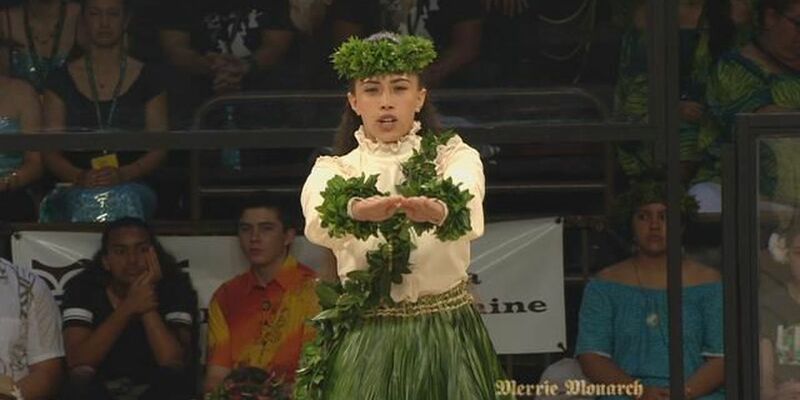 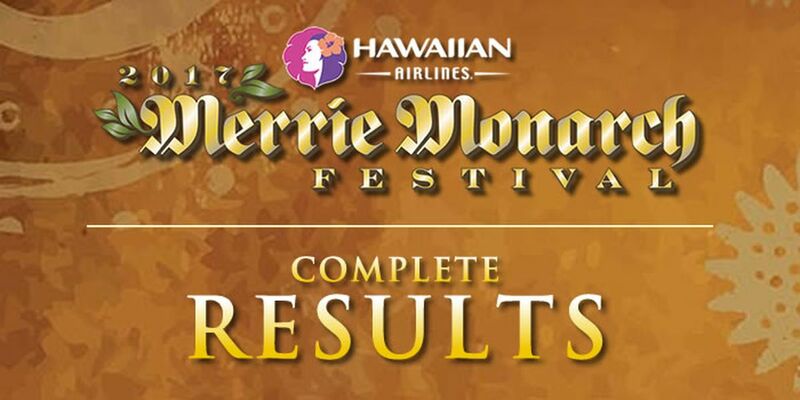 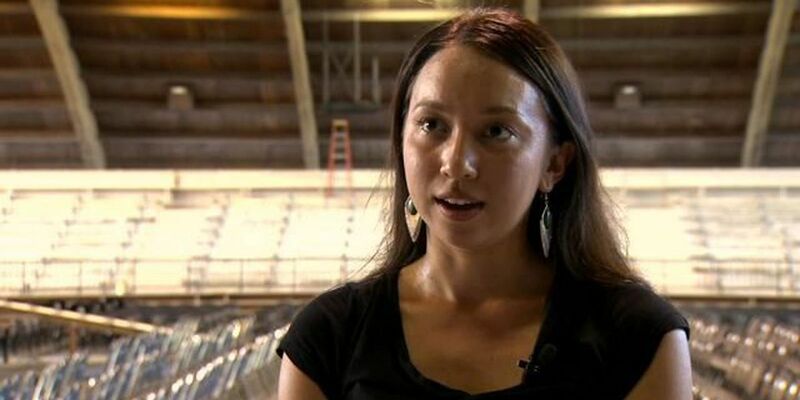 There's no doubt the hula competition is the highlight of the Merrie Monarch Festival, but it's not the only draw at the annual event. 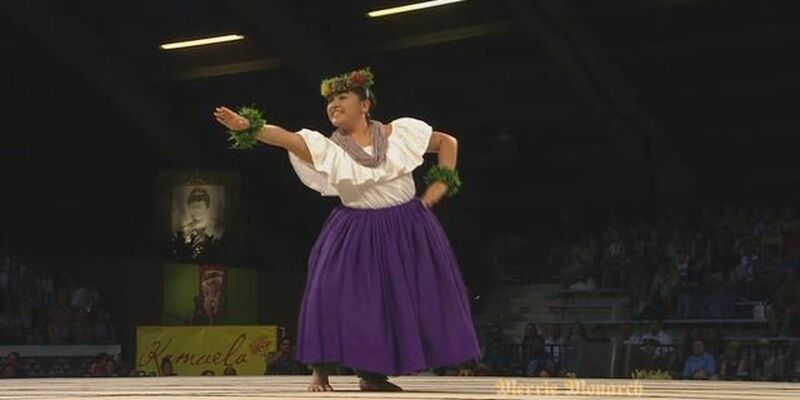 Thousands of people pour into Hilo to attend the Invitational Arts Fair -- one of the best showcases for local arts and crafts in Hawai'i each year. 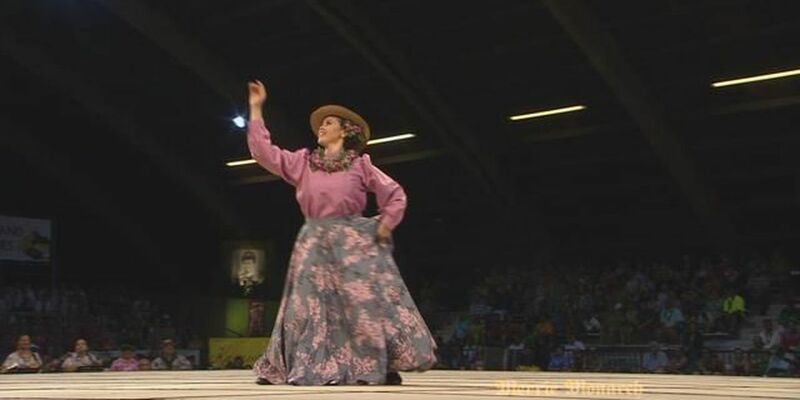 The next 2018 Miss Aloha Hula contestant to perform her hula 'auana is Alana Maureen Ka'ano'anookalani Paiva from Halau O Ka Ua Kani Lehua. 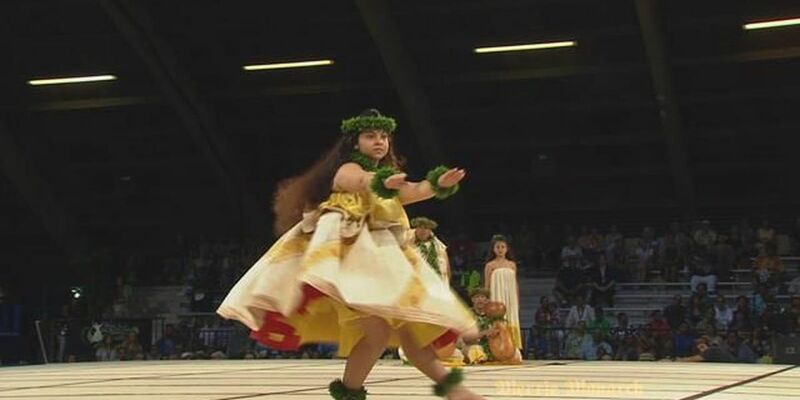 Shayla Makanoe Mie Thompson of Halau Ka Liko Pua O Kalaniakea is the next contestant to perform her hula 'auana. 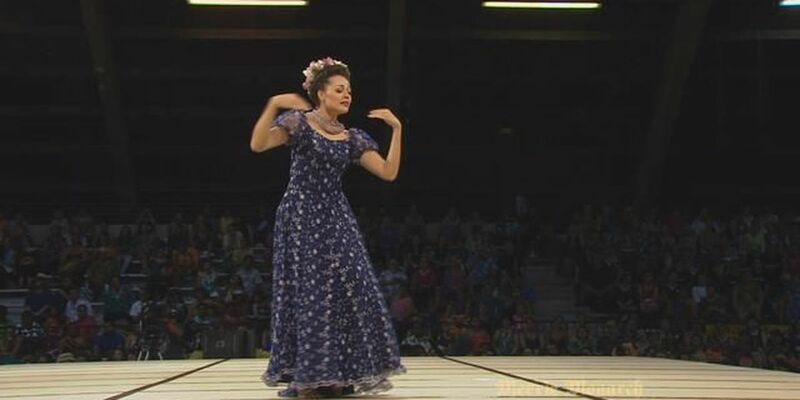 Up next to perform hula 'auana Kinohi Kealohilani Mirafuentes from Halau Na Mamo O Pu?uanahulu. 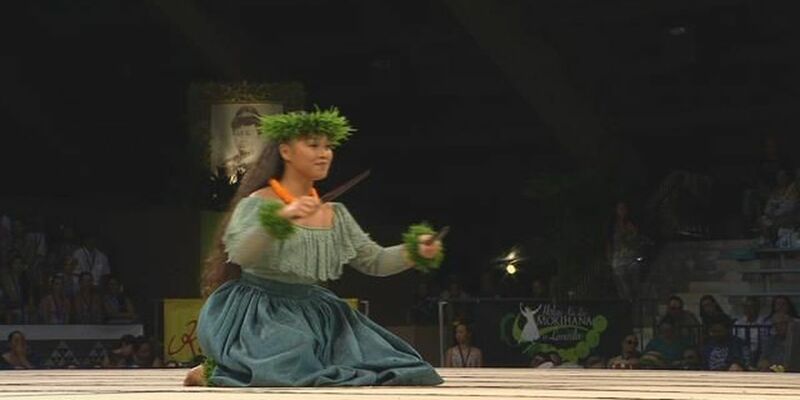 Shalia Kapuau'ionalani Kikuyo Kamakaokalani from Halau Na Lei Kaumaka O Uka is the next 2018 Miss Aloha Hula contestant. 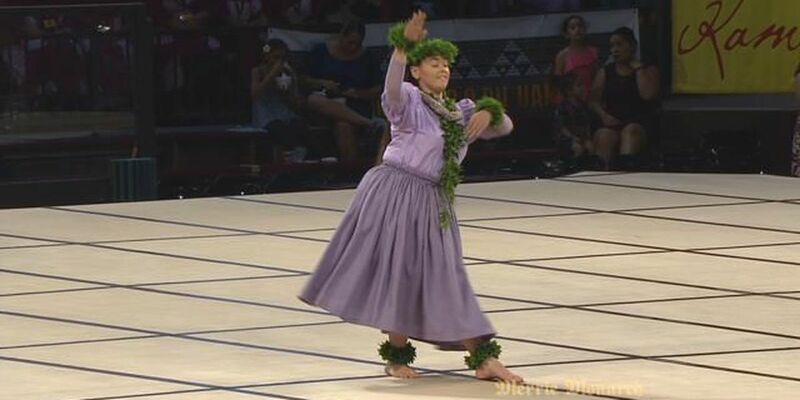 Meagan Puanani Guerrero from Halau Kekuaokala'au'ala'iliahi performs her hula 'auana. 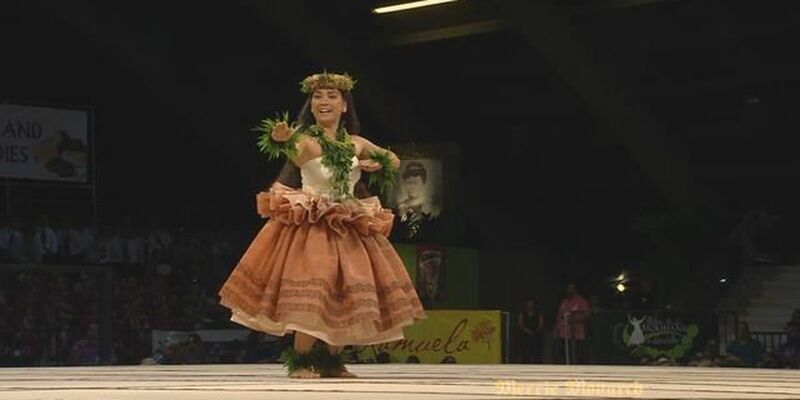 The next 2018 Miss Aloha Hula contestant to grace the stage is Paoakalani Ashley Montgomery of Hula Halau 'O Kamuela. 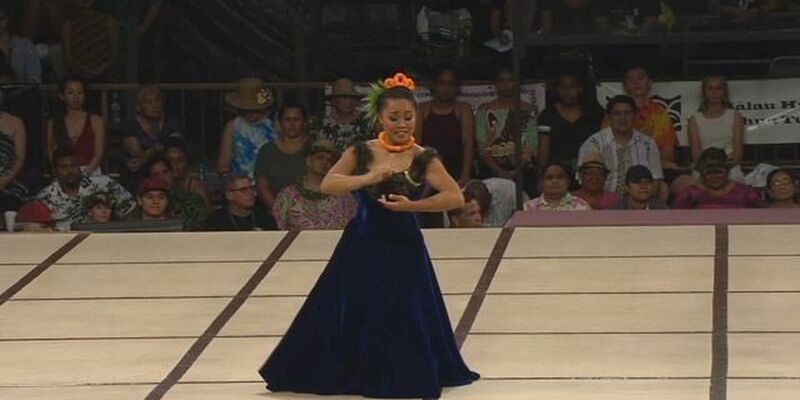 Asialynn Genoa Kalhilihi'ulaonalehua'ohopoe Yap from Halau Manaola is the next 2018 Miss Aloha Hula contestant to perform. 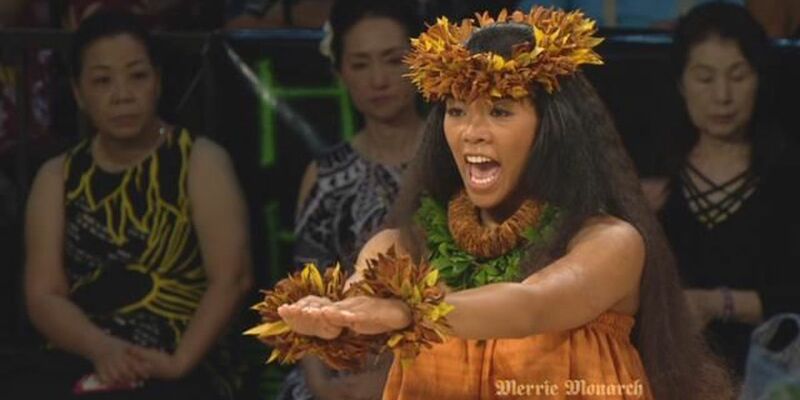 Joelle Nohealani Kalima of Hula Halau O Kou Lima Nani E is the next contestant to perform her hula 'auana. 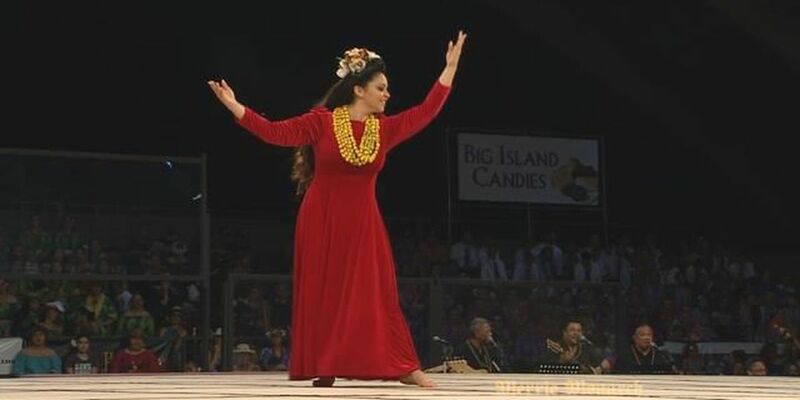 Shenaniah Ku'ulei'awapuhimelemelenaanuhea Romias from Halau I Ka Wekiu comes back to perform hula 'auana. 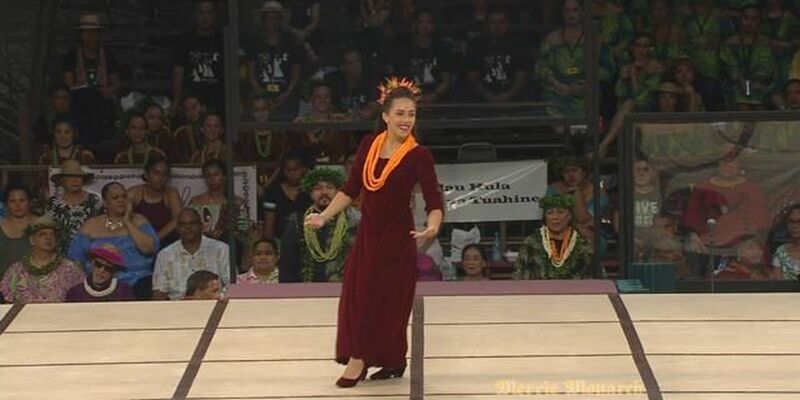 Ecstasy Jetta Laverne Kamakalikolehua Ligon from Ka La 'Onohi Mai O Ha'eha'e comes back to the stage to start the hula auana portion of the competition. 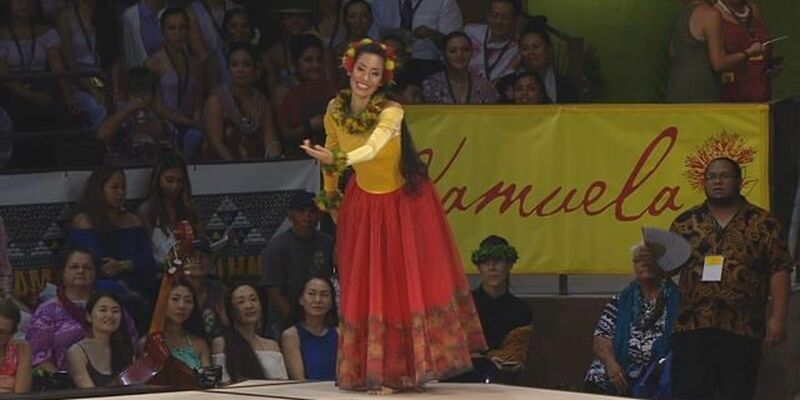 Nicole Mailenani Yuen from Halau Hi'iakainamakalehua performs her hula kahiko. 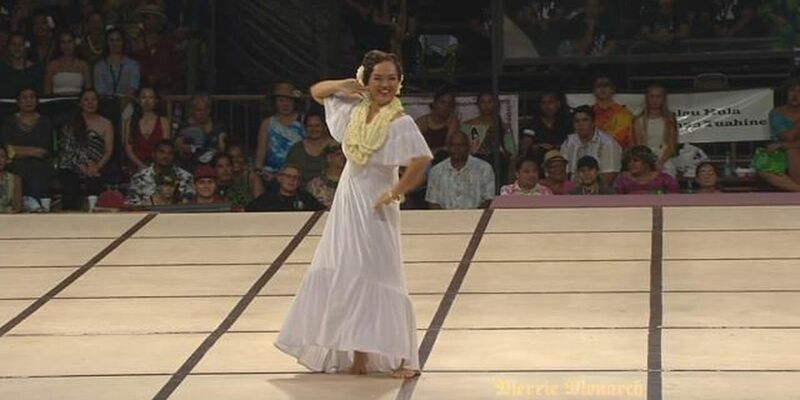 The next 2018 Miss Aloha Hula contestant to perform is Shayla Makanoe Mie Thompson. 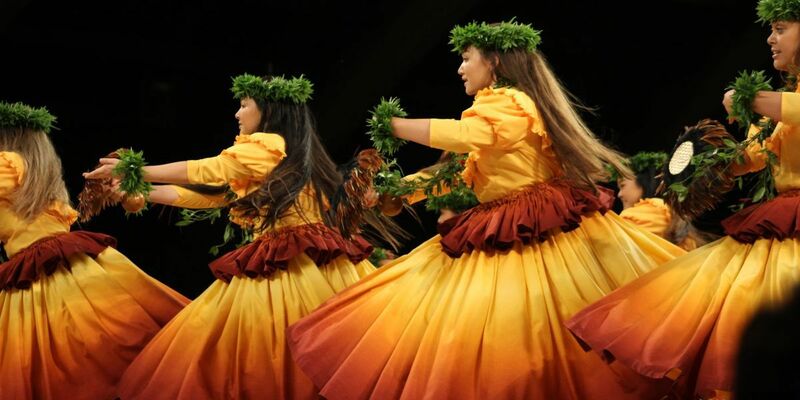 Hula Halau 'O Kamuela Iapana performing on Ho'ike night.